Men are from Mars and women are from Venus or so the saying goes. However the anatomical differences between male and female humans are relatively minor when compared to the differences between male and female insects. 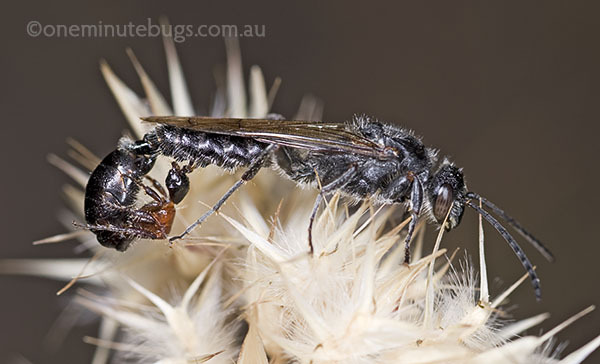 “Why is this ‘ant’ attacking a ‘fly’ via its ovipositor?” an insect enthusiast asked me in an email recently (the insects in question can be seen below). The image clearly illustrates sexual dimorphism. My Dictionary of Entomology, a massive tome only owned by insect nerds like me, defines sexual dimorphism as ‘differences in size, shape, anatomical features, colour or behaviour between males and females of a species’.